I’ve posted a three part audio series of Robert Ecksteen, a.k.a. 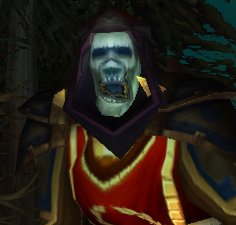 BobX, the undead mage from World of Warcraft. Some of you may say, “How sad and pathetic are you Tom, that you created a fake three-part recording of the memoirs for a World of Warcraft character, complete with bad WoW jokes and the theme from Undercity?” To which I can only reply, “very.” And then hit you with a frost bolt, cast mirror and take you down like a level 30 Murloc. How you feel now, snide dead WoW-mocker? Part one: Birth to scourge invasion. Part two: Life as a ghoul. Part three: Reborn as undead. You are currently browsing the SuBBrilliant Blog weblog archives for the 'WoW' category.